With summer here, many people and families will be looking for somewhere to take a vacation. If you’re still undecided and looking for a great place to visit, Colorado might be the answer. 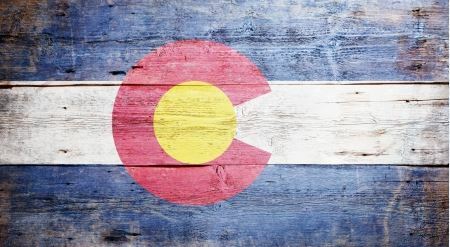 Here are a few reasons on why Colorado should be your vacation destination. The city of Denver offers a great deal of shopping. While there, you can visit the numerous boutiques in in the Cherry Creek shopping district or you can visit the stores in Southwest Denver. If traditional shopping isn’t your style, then head on over to Old South Gaylord Street where a row of old houses have been converted into boutiques, wine stores and more! Over the past few years, Denver has become a massive foodie destination. That’s because if the boom in chef-driven restaurants that offer a wide variety of food options that are sure to please all types of food enthusiasts. The state of Colorado has more home brewers than any other state in the country and that’s supported by the large number of breweries that can be found throughout it. So if you’re a huge beer fan and are looking to try new beers, then Colorado is definitely worth checking out. We also offer a great outdoor experience as there are four national parks located throughout the state. Rocky Mountain, Mesa Verde, Great Sand Dunes, and Black Canyon of the Gunnison offer views and hiking that is unmatched. Colorado is a wonderful place to enjoy outdoor sports. Of course, Colorado is notorious for being ski country, but the mountains are also an idyllic setting for hunting as well, including big game hunting. Samuelson Outfitters LLC is located in Fraser, CO, which is not too far of a drive away from Denver. Samuelson Outfitters offers guided elk hunts that will make your visit to Colorado a memorable one. For more information or to book a hunt with us, feel free to call Samuelson at (970) 726-8221 today!